Customers expect APRR to deliver ideal traffic conditions. Achieving this goal requires optimal real-time traffic management. APRR and AREA deploy extensive human, technical and logistical resources to address this expectation. At each stage of their journey, motorists using the network are kept informed about traffic conditions and any incidents. APRR is committed to optimal real-time traffic management. Traffic management strategies must make allowance for multiple foreseeable and unforeseeable factors, including traffic density, weather conditions, accidents and traffic jams. APRR monitors its motorways closely to obtain accurate information about the network’s status, traffic levels and any disruption. The company's traffic management system uses data from field sensors and cameras to inform human intervention. APRR uses powerful systems to keep motorists well informed about traffic conditions at all times. 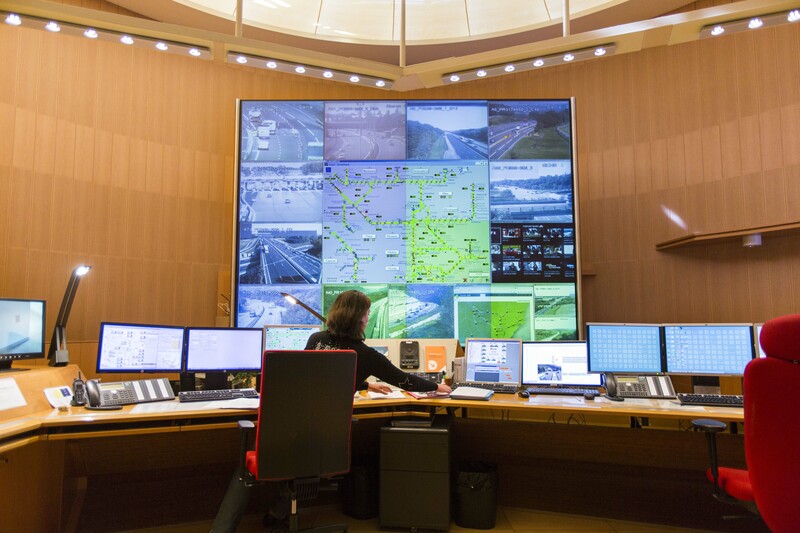 The Group centralises, analyses and shares data from its regional and tunnel control centres, as well as the CESAR and central control centres, enabling it to relay information in real time. The APRR website (aprr.fr) and the Group’s social media accounts provide customers with detailed information about their journeys, including routes, weather forecasts, traffic forecasts and services available at service and rest areas. Variable-message signs - operated remotely from the traffic control centres - play a key role in notifying motorists of events or congestion. The Autoroute INFO 107.7 radio station, covering a 2,500 km network, is an invaluable “co-pilot” for drivers. Real-time traffic updates help motorists to anticipate disruption and adapt their journeys accordingly. 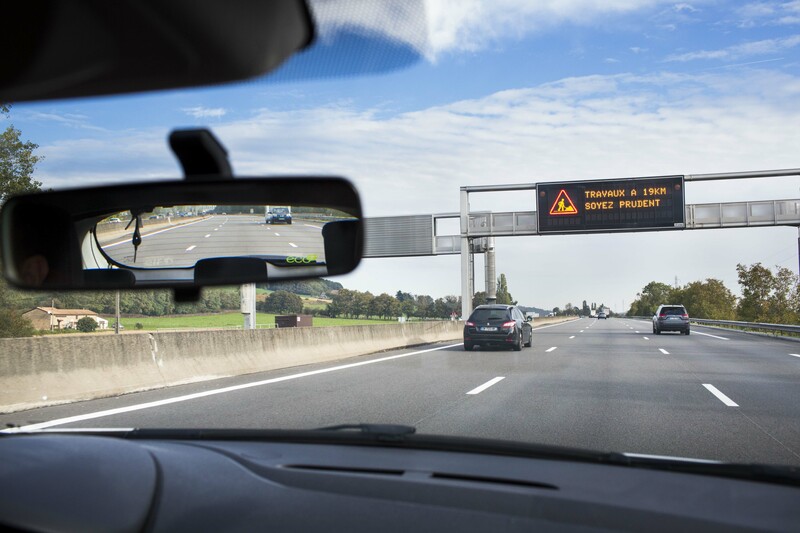 As well as the APRR and AREA networks, Autoroute INFO 107.7 covers all of the motorways in the French Alps operated by SFTRF and ATMB, as well as the Fréjus tunnel and the expressways in Grenoble. Customer service areas inform travellers about the motorways (services, prices, practical information about hotels and restaurants) and related services (electronic toll badge sales), as well as providing tourist information (landmarks, regional curiosities, etc.). A telephone hotline (36 20 "Mon autoroute") provides information about routes, prices, motorway services, electronic toll payment subscription packages and current traffic conditions.